KPMG helps clients navigate the increasingly complicated financial landscape towards a prosperous future. The financial services environment is witnessing a rapid change, where focus remains on issues such as capital and liquidity management, the changing regulatory landscape, cost reduction and adapting business models to ensure that these institutions are fit for the future. Financial institutions in Kuwait operate in a highly competitive and dynamic environment where change is one of the few constant factors. Demographic changes, new regulations aimed at improving transparency and the rise of technology means that financial services organizations need to become increasingly focused on the customer. KPMG's Financial Services practice is one of the leaders in the marketplace. Combining a strong local presence with access to a global network of Financial Services professionals, KPMG’s Financial Services practice in Kuwait is well placed to help our clients successfully navigate through these challenging times and capitalize on opportunities as they arise. KPMG's Global Financial Services practice has more than 36,500 partners and professionals across our global network, providing Audit, Tax and Advisory services to the retail banking, corporate and investment banking, investment management and insurance sectors. We leverage the vast knowledge, skills and experience across our global network of firms to help clients identify and address their most complex business problems with confidence. We help clients navigate the increasingly complicated financial landscape towards a prosperous future. 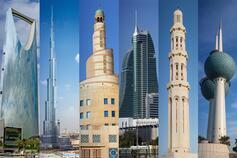 KPMG’s dedicated financial services practice in the Kuwait offers access to various key financial marketplaces. It delivers leading practice advice and recommendations through an up-to-the-minute understanding of the vital issues facing the local and international financial services industries.